Why do I need to have my carpet cleaned every 6-12 months? That seems like such a waste of money. Your carpets play a big part in keeping your family healthy! 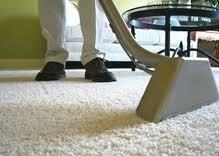 Your carpets act as an air filter in your home. This filter system over time collects many of the pollutants that can cause health problems such as; mold, pollen, dust mites, and chemicals. Your carpet will eventually become over loaded with these particles and as your family walks around your home, these particles will then be released back into the air you are breathing. When there are young children in the house they spend lots of time on the carpets. These children are exposed to as many carcinogens as an adult that smokes three cigarettes a day. This is why it is important to have your carpets cleaned at least once a year. The cleaning of your carpets will remove that build up just as if you were changing filters in your furnace and allow the fibers in your carpet to start filtering the air you are breathing. The RX-20 or Dri-Master: The best to clean our carpets would be to throw them into the washing machine if that were possible, like we do with our clothes. However, the RX-20 and Dri-Master can work just like our washing machine on the carpet. They have a circular disk that rotates over the carpet fibers, removing deeply embedded soil and rinsing all sides of the carpet fibers. It is a self powered and does not require manual labor by the technician. The Wand: This method has good extraction, but depends a lot on the physical strength of the technician. It has a forward and backward cleaning action. If you imagine your finger as a piece of carpet fiber the wand will clean four sides of it, up and down and left and right. The RX-20 or Dri-master will circulate its self around the entire finger. Each rug is unique whether it is Persian, oriental, cotton, or wool to name a few. At Specialized Cleaning and Restoration Inc we give each rug special attention with the proper cleaning and care required. The cleaning techniques used pay special attention dyes, particular weaves, and fibers to give your rug that deep clean and brighten up colors.